Congratulations on a great game yesterday. It is always a pleasure to see you go out and give 110%! The girls (Savannah and Naomi) really look up to you and think you are awesome!! It’s funny how things work out, but we were lucky to be in San Diego the same time as your call-up as well as the night before in Fresno when you took the pitch in the chops. Work hard and keep playing hard. Now let’s go out and sweep LA!!!! We’ll see you in San Fran. someday! Congratulations on your first homer yesterday! I am a huge Giants fan stuck in San Diego but I was lucky enough to get tickets to the game yesterday right behind the dugout, and it was great to see you guys take it to the Padres. Seeing you hit your first homer was an added bonus…I hope you enjoyed it. Good luck, hope to see more of you in the future. You remind me a lot of Robby Thompson in the mid-1980s before he took over 2b. I look forward to your being a Giants stalwart on 2b for years to come. Keep up the hustle and grit! Unfortunately, and I’m sure Kevin will write about this at some point, his jaw was in fact fractured and he was put on the DL today. It sounds like he’ll be back quickly, though. Hey, this adds to the legend of Kevin Frandsen — dude hit his first Major League homer with a fractured jaw! Here’s to a quick recovery, Kevin. We hope you recover fast, and that you pick up where you left off when your DL stint ends. It’s great to see and hear that you’re playing hard, working on your footwork around the bag, taking extra BP, and hitting line drives. You’ve come a long way since hurling basketballs at the hoop during time-outs at Leland games! Our best to you and your folks. If you get a chance in the future, we’d enjoy hearing what it’s been like for you to play and interact with gold-glove guys up the middle (Omar Vizquel, Steve Finley, and Mike Matheny). Congrats on the call-up and great job in San Diego! Sorry about the jaw, that must have really hurt. Hopefully you?ll be out there tearing it up before I have to move back to college so I can cheer you on some more 🙂 You (and your dirty uni) have been a joy to watch ever since I saw you at Spring Training this year and I?m sure it?s just a preview of what?s to come! Keep up the good work and I hope you feel better very soon! Welcome back! Congrats on getting called up man! We are really siked to have you back up. We needed you… desperatly! Major congrats on your first big league hommer and that awesome ground catch. I was listening to the game in class. Sorry about your jaw though, ouch! You’ll be playing sooner than you think 2 weeks will fly by. Keep up the great work Kev we love watching you and your dirty uni! ITS REALLY SAD TO SEE THAT A PATHETIC PLAYER LIKE URSELF IS CONSIDERED A “TOP PROPSECT” IN UR GOD AWFULL ORGANIZATION.. IN THE DODGERS ORGANIZATION, U WOULD BE STUCK IN AA, THE GIANTS S.U.C.K! Key Kevin! You really did an awesome job! I`m so happy for you! I love it when I see young guys like you, Todd Linden, on the field and also the young pitchers on the mound with Lowry, Cain, Hennessey, Correia and the other young pitchers! GET WELL SOON! AND I HOPE TO SEE YOU PLAYING AGAIN! and that DODGERMS FAN forget them! GO GiANTS! Pay no attention to the the halfwitted blatherings of that knuckledragging Bum fan, only a completely classless loser would rag a player on his blog. But hey, it’s a Dodger fan, what do you expect? Keep up the good work, get your jaw back in working order and the Giants fans from the Virtual Forum on ezboard are looking forward to seeing you in the starting lineup next year. I remember playing against you in Lincoln Glenn Little League. It is great to see you have come so far. Congratulations on all you have accomplished. I wish you the best of luck and a speedy recovery. Hope to see you back on the diamond soon. Kevin, you’ve had quite a crazy week or so! Congrats on being called back up to SF, on your great game in SD and first ML Home run, and on being named to the Arizona Fall League today!! Looking forward to watching you play in SF in September and in AZ in October and November! Get well quick!! Kevin, great blog again. I have read all of them and they are great. To the Dodger fan, How classless are you to come on here and rip him on his blog? Kevin is such a gamer he went 3for5 with a homer and two doubles with a broken jaw!! You would never see a Dodger do something like that. Kevin we love you in Fresno and we don’t want to see you down here again. You stay up there and keep the energy going! nice to see you back up in the bigs. Although, who is going to play boo at backgammon. Hey Kevin, thanks again for signing the hat for me at the August 6th game in Fresno. You are a good role model for todays youth and my son wears his #19 Frandsen T-shirt with pride! Keep up the good work and best of luck to you and the rest of the Giants organization for the rest of the season. hey rayloveselaine Y0UR THE REAL SHAME! nothin` else! sorry `bout this kev but i just HAD to tell the truth… BEAT TH0SE B U M S!!!!! G0 GiANTS! HEY ROOK !!! We flew into SD for a family reunion hours after you hit your first homerun “A Two Dish Dinger”. And I believe you scored twice prior to that which predd’y much took the game from San Diego. HEY!!! Let me know when Frandsen bobble head day is…? Seriously,Congratulations!!! My wife and I have been picking games trying to catch up with you all season in Sac and San Fran, but you keep getting sent down or called up the day before each time. We’ll be in Fresno this Saturday as one of our visits planned but know your out for some-time, but with your personality I know your not down. We’re sooo happy your at the show again and I know your family and better half are very proud and excited, and so are we. Take care of that jaw, I couldn’t believe you played through that pain…’WHAT A GAMER’ OBIE SAYS “HIGH”. So anyway, Maybe I’ll catch-up with you at Hardtke’s. Kevin- I was glad to see you in the dugout last Sunday as I was waiting for autographs. Sorry to hear about your jaw and the DL too. Hopefully you’ll be back on the field soon. sorry about the jaw, is schendel your surgeon that you saw? he’s my jaw surgeon! hope to see you off the DL soon! wow!, u guys are ecstatic in having the next joe mcweing.. thats pathetic… thats all kevin is gonna be, a bum bench player..and thats if hes lucky.. ur so called prospects S.U.C.K., lets take a look, wat happened to tony torcato?.. wat happened to Calvin Murray.Steve Soderstrom, or Jason Grilli.. all these bums where first round picks, and they all stunk!.. WOW! GIANT FANS HAVE IT FIGURED OUT FOR THE NEXT 10 YEARS WITH KEVING RIDING THE BENCH!…btw, im counting down the day till matt cain eats his way out of the leauge! Hey Kevin! I was so excited to see you back up with the Giants. You were great in SD, and I hope your jaw gets better quick because you are one of the guys I enjoy watching the most. Oh, and dont listen to that psychotic dodger fan who has nothing better to do than to go on a Giants blog and be a J.A.C.K.*****. He is just upset that his team got swept by a team that you guys swept in a 4 game series. Anyway, I am so excited to see you play again! You’ve proved that you belong here. Congrats on your first HR in San Diego. You played your heart out and it showed. I look forward to seeing you play a lot more. Sorry about your jaw, that stinks. My brother broke his jaw in a bicycle accident a few years ago and when I visited him from college neither of us could eat anything. Him, for the obvious reason, and me, because I felt so bad for him. Hang in there… it’ll get better and you’ll be back out on the field soon. Thanks for all you add to the team! Please do read the writings of the idiotic (Dodger fan) and make sure to stick it to them every time you play the bums. They don’t have a clue what they are talking about, after all they are only there for the middle three innings anyway. Hey jack a-s-s d@dg*r fan…are you still “waiting for the day Matt Cain eats himself out of the big leagues”? Kevin take out a stupid dodger with a hard slide for me! Ok, ignore the fodgers fan. Glad to see that you’re ok after that hit. I didn’t get to see it, but I sure heard about it. My brother and I are both rooting for you to make it in the big leagues; so when he heard on KNBR that you had been hit and might have a broken jaw he called me right away. You really seem to be a great guy, very down to earth and with the right attitude about the call ups and send downs that happen in the business of baseball. Keep your chin up and it will work out for you. We can see you have the talent and there’s a light at the end of the tunnel. I was wondering if you feel a little better about your situation after Sabean mentioned you and some of the other younger players by name as having larger roles next year? Do you even follow that stuff or does it just hurt too much to keep hearing promising news that turns out not to work out as well as hoped? Do you put any stock in it? Has anyone talked with you all in AAA about it? That dodger fan is full of @#$&! I am a giants fan living in So Cal. Every dodger fan that I’ve talked that has seen you play had nothing but good things to say about you. After that game in SD I told every body to watch out for this guy but then you got hurt. Come back and show them I’m not wrong. Good luck buddy and help us make one last push. I know we have it in us. That`s right ***********@yahoo.com. i mean come on make sure you[DODGER FANS] do your homework first before you post any comments that we will see and will correct! so check yo`self next time rayloveselaine@hotmail.com! Oh yeah Kev! did you know that Kruk gave you a nickname when i was watchin` one of the games on tv.. it was Mumble Frandsen! lol it was funny, but cute! I know this is totally going to be kinda weird to you, but my friend said you had a Myspace before you got called up. 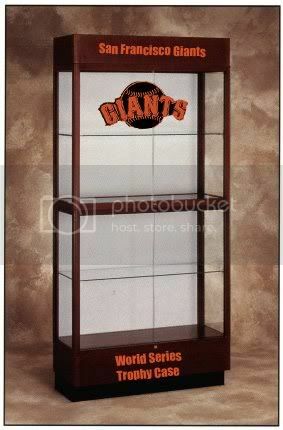 And i know Matt Cain has one… I`ve seen it! lol but yeah just wanted to say that! BEAT TH0SE B U M S!!! Welcome back from the DL. I’m looking forward to seeing you back out there on the diamond! You handled your broken jaw like a champ, and I’m sure that your brother is watching over you feeling very proud. Enjoy the rest of the road trip and we’ll see you when you get back home. im sad i had to leave to go back to school before the end of the season but im still cheering for you up here in Oregon!!! good luck on the rest of your roadtrip and lets go giants and #19 of course! glad that you can eat again, i hope you enjoyed those eggs and hash browns! see you on friday! hope that you get an at-bat or two this week! I’m so so happy that you are off the D.L!!! I just started school a couple of weeks ago and one of my homework assignments was to fill out a self evaluation survey. One of the questions was who some of the people that I look up to. One person I put was you because you haven’t let anything get in the way of fulfilling your dream of becoming a pro ball player. I try not to let my disability get in the way of my dreams of playing highschool volleyball. Lucky for me I made the team,but I injured myself somehow. Probably from running all those suicides. So I can’t even play in my first game against St.Francis. I know they were one of your rivals since you wen’t to Bellermine. Anyway, I think you are a great role model so keep up that posative attitude. I can’t wait to see you play again. Your next blog should be good! Congrats on getting the jaw unwired. How did you manage to keep up your strength during that time, even though you lost ten pounds? Congratulations Kevin. You’ve had an incredible year getting your first hit, first homerun, and getting to START everyday in the MAJOR LEAGUES. You’re the future in San Francisco. My family wishes you the best of luck in the coming years. You’re going to be great. Good Luck. The funny thing about the ignorant Dodger fan is that their organization is running on Black n’ Orange. Where do ya think Ned Colletti came from? Sabean schooled him on everything he knows. Sad thing is Frandsen, Linden, Ellison, Correia and Sanchez never got their chances in the past, but we true Giants fans are ready to see the youth of our farm system shine a la the Athletics. Let’s get Barry a ring and we’ll be seeing plenty of you Kevin,in the years to come!! check out ray ratto’s comments about barry on http://www.sportsmediaguide.com. Great to see you in the game today! Have a good road trip and know that we’re here at home pulling for you guys. Nice game yesterday! My 8 yr old son (Sam) was asked yesterday at his 1st fall ball practice who his favorite player was and he said you. The coaches are all Giants fan and thought that was great (we meet you in Fresno when we saw Boo in July)! BTW – I wouldn’t acknowledge the Dodger fan on your blog…..let your bat and glove do the talking – YOU HAVE TOO MUCH CLASS FOR THAT! Hi Kevin,what a year you’ve had,hope to see u next year,you’re future in San Francisco is going to be fun to watch. Kevin – and all you other Giants fans out there – I grew up in LA (still bleed some blue – after all my first game was Opening Day at Dodger Stadium in 1962 when I was 2 yrs old (45 years ago) but have season tickets to the Giants and LOVE THE TEAM! I am embarrased to be lumped into the same group with rayloveselaine (not all Dodger fans are like him). I truly appreciate and enjoy the team the Giants have! Take care and see you next year. Hello Kevin, I am new to this. But, I would have to say that I have been a fan of the Giants eversince I was a kid growing up in L.A. I would have to say that you are a great addition to the team I appreciate your snap to the team. Keep it up, and may you have a long healthy lasting career with the Giants. Just beat the Trolley Dodgers to the ground! I just wanted to say hi and I also wanted to say that it is cool watching you play being that you’re from my hometown and all (by the way, I went to Mitty, ha ha). I was actually sitting right behind Coach Hutt on the bus when he was talking to you on the phone a little while back. For some reason he wouldn’t let me say hi to you, ha ha. Anyway, keep up the good work and the good hacks! Loved the spot on you and DJ last night on the pregame show. It’s obvious by the look in your eyes that you play with the heart of two people. Your brother would be very proud of you… the player and the man. Good luck in the fall league and know we’ll be rooting for you when you get back next season. Well, I told you to “Bring It On” and you are doing exactly that!! Really nice article about you that Draper wrote, but man, stay healthy with your sense of humor that should be no problemo!Good Luck in AZ.and watch those Split Bats, talked to my buddies at McGregor and they said that they have the “Router” sitting on idle just in case you need a few backups!! Being,(This is evident in the Eyes), It is not everyday that “Ordinary Heros” are appreciated or talked about but in his case you know that this Man is truly a great person.I thought it was so touching that his son; Moses took care of his Father in regards to bringing him food before each and every game and how wonderful that they both were able to work together not only as a team but as Father and Son, what a Bond and what a gift! I hope that you have enjoyed working under him and have been able to learn alot from him, I feel that Mr. Alou’s record of performance and his care and concern for others is evident, this Man is all Heart, good to know that at any age we can still learn a lesson or two in Humility. How did I end up at a link telling me Frannie had a Blog?! I don’t know. But I miss yah bud! It’s Lauren by the way. I just wanted to say congrats with all the progress and it only gets more busy from here on out, so I guess I’ll just see you on the field. I think people should know what a great guitarist you are, singer, and Baseball player! All the luck! i’m sick and tired of losing.. something needs to change..look at the dodgers, they are in the playoffs. look at the effing padres, they got it.. why not us?.. i say let go of barry… hes old and a has been, as for everyone else on the team, they need to go.. trade cain for something good, cain is fat and lazy.. ugghh, i’m tired of losing!